When you need concrete work done, Call Indian River's number one concrete company Roy Clark Concrete. Call us today at 722-633-6057. When It Comes To Concrete, We Do It All! No Job too Big or Too Small. For over 25 years, Roy Clark Concrete has been serving the commercial and residential concrete needs of its customers throughout Brevard County. We are fully licensed and insured contractors, specializing in the installation of residential, industrial and commercial concrete projects. When you need any type of high-quality concrete work done for your home or business, Roy Clark Concrete is Space Coast’s number one concrete company. When It Comes To Concrete, We Do It All! No Job Too Big or Too Small. Call us today at 722-633-6057. Roy Clark Concrete was established in 1988 and over the past 25-plus years in business, we have firmly established ourselves as the number one concrete company in the area. Our project managers are all highly experienced and look forward to not only meeting, but exceeding your expectations. We take great pride in our work on every job we do, no matter what size, big or small. You can always count on our craftsmen to provide you with the highest-quality concrete installation available, and at reasonable prices. Every one of our projects is professionally managed, from start to finish. At Roy Clark Concrete, we strive to set the standard for excellence and meet our customers’ needs by providing exceptional customer service and quality workmanship on every job we do, at reasonable, competitive rates. We employ experienced concrete craftsmen and artisans that have the know-how to get your job done beautifully, quickly, affordably, and to your complete satisfaction. Regardless of if your next project is large or small, simple or complex, we would be pleased to talk with you about your requirements. We are eager to talk to you about your upcoming residential or commercial concrete project. Here is a little more information about some of the more common projects we do. 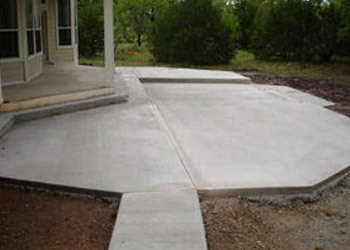 Parking Pads - We are experts at designing and installing residential and commercial concrete parking pads. A parking pad is a parking area large enough for a number of vehicles that keeps them from being parked on the street and which can be specifically designed to be tastefully incorporated into the existing landscape. We can install high-quality parking pads anywhere in Indian River or Brevard County. Porches and Patios - There is almost nothing that will enhance the beauty of your yard more than a beautifully designed concrete porch or patio area. The wide variety of textures and materials available today for concrete porch and patio design and installation, allow you almost complete creative freedom to bring the style and elements of your indoor rooms to the outdoors. We can show you how back yards are now being transformed into luxurious extensions of the home. Roy Clark Concrete can design and install your new porch or patio, so it can become your new favorite room to relax, entertain, and cook amazing meals. The heart and soul of the backyard resort area is the concrete porch or patio. 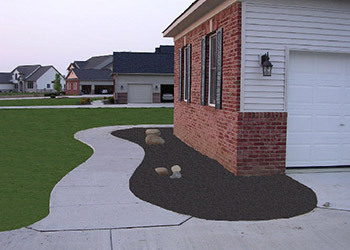 Custom Sidewalks and Paths - Next to patios and driveways, designing and installing custom sidewalks and paths in your residential or commercial area is a simple thing to do that will greatly enhance the beauty and “curb appeal” of the property, as well as the overall value. Also, as with patios and driveways, the variety of materials and design options available will allow you to create a beautiful space that is an extension of your home and yourself. Concrete Repairs - Over time, even the best concrete installations can sometimes develop cracks for numerous reasons. When this happens, we can come in and fix any type of residential or commercial concrete installation so it looks like new. Concrete Demolition and Removal - If there is already an existing concrete installation where a new one needs to be installed, we will first demolish the old installation and provide complete removal of the debris. Driveways have become a style statement for homeowners and can greatly enhance the "curb appeal" of any home. When it comes to installing a beautiful driveway for your home, there isn't a better or more versatile driveway material than concrete. For the same reasons as we mentioned above for the parking pads, concrete is a much better choice when it comes to choosing a material to use for your driveway. Concrete is available in a wide variety of textures and colors that will help give your driveway a unique look in your neighborhood or community. When you need a beautiful driveway designed and installed for your home, the driveway specialists at Roy Clark Concrete will be glad to show you all the wonderful design and material options for you to choose from. Then we will design and install a concrete driveway that will not only be beautiful to look at and last for decades, but will also be a personal statement that reflects your own taste and style. Complete Concrete Forming - The wonderful thing about concrete is that is starts out in a liquid-like state and assumes the shape of whatever form it is poured into. This means it can be made into virtually any shape you want, depending on the form that is designed and built. We can design any form you can imagine as well as all traditional residential and commercial forming. Pouring - After the form is designed and built the wet concrete is carefully poured into the form and smoothed, then left to dry. We can handle any concrete pouring job. Floors - We can install any commercial or residential concrete floor. We install concrete floors for showrooms, warehouses, basements or anywhere else a concrete floor is needed. Garage Floors - We are experts at installing beautiful garage floors that will stay good-looking and last the life of your home. Garage Pads - A garage pad is basically a parking pad that is just outside of a garage. It allows for parking of numerous cars outside of the garage and off of the road. Shop Floors - Shop floors often require special textures and techniques when being installed that go to making them safer and more slip resistant. We can install any commercial concrete shop floor. Footings - We can install concrete footings for any type of building erection. Steps - Concrete steps are beautiful as well as extremely durable. Patio Pads Poured & Smoothed - Patio pads are small patios just off of a home or building, usually with a small fence around them, but not always. When your plans call for a patio pad, we can form, pour and smooth any size or shape of patio pad. Curb & Gutter Work - We do any and all types of curb and gutter work. Shed Pads - A shed pad is the small concrete pad, or foundation that a shed is installed on top of. We can install your shed pad. Specialty Concrete - There are many types of specialty concrete available in different looks and textures that we will be glad to show you for your project. Colored Concrete - There are many types of color for concrete that we will be glad to show you and can use on your project. Exposed Aggregate - Exposed aggregate concrete is made by adding a layer of small gravel to the top of the concrete after it is poured, thus adding a durable, rough uneven surface that is nice to look at, as well as much more slip resistant. 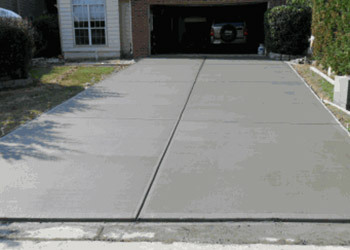 Concrete Cutting Service - We provide expert concrete cutting service. At Roy Clark Concrete, customer service is more than just a catch-phrase that is used. Simply put, we always guarantee your complete satisfaction. Our pledge to our clients is to treat you with the courtesy and respect that we would also expect as customers. Roy Clark Concrete services the entire Indian River and Brevard county areas, providing concrete service in Vero Beach, Melbourne, Sebastian, Cocoa Beach and all other cities in those counties. Call Today For Your Free No-Obligation Estimate! Please call with any questions you may have, or to schedule your free, no-obligation estimate today!